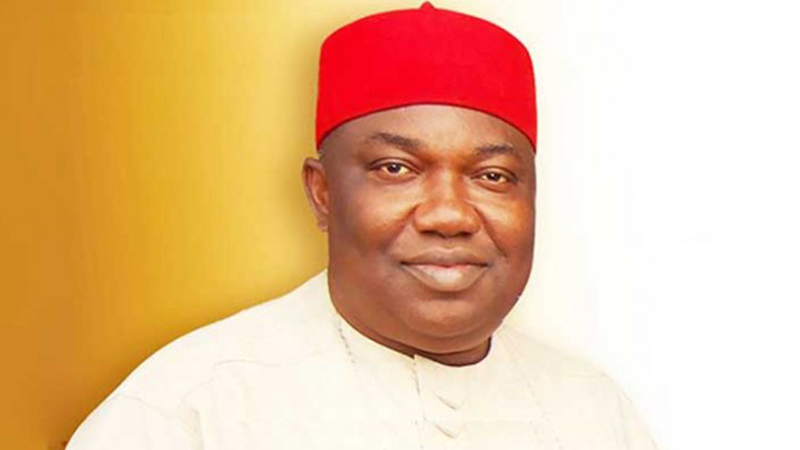 In 2014, Governor Ifeanyi Ugwuanyi of Enugu State made history as a politician, who emerged as consensus candidate many months before the general elections. At a time other states were going through crisis over who would be candidates of their parties, Ugwuanyi had been chosen by his Nsukka zone and later endorsed by all the zones in Enugu as a preferred candidate. He was to be, figuratively, “coronated” governorship candidate of the Peoples Democratic Party (PDP) at a primary, which turned out to be a formality. During the electioneering for the 2015 governorship election, Gburugburu, as Ugwuanyi is fondly called owing to the traditional title conferred on him to underscore his generosity and philanthropy, became a mantra in Enugu. He was to win the governorship election as well as all the court cases that followed. Close to three and half years in the saddle as governor, Ugwuanyi has shown vision, determination and drive to change the fortunes of the people of Enugu State. He has strived to deliver the proverbial “dividends of democracy” in all facets of the state’s life, which many believe have dwarfed the achievements of his predecessors in office, in the first tenure. Ugwuanyi has continued to pay salaries to workers in the state as and when due. Indeed, he was one of the three governors in the federation that paid workers’ salaries when there were hiccups in the disbursement of funds from Federation Accounts. The Enugu governor has constructed and reconstructed roads across the state to make movement easy. Such critical roads he has tackled include 9th Mile By-Pass road, Ameke Ngwo-Nsude-9th Mile By-Pass road, Abakpa-Nike Road and Nike Lake Road, the Opi-Nsukka dual carriageway; Obechara Road Junction-Umuakashi-Mechanic Village-Ikenga Hotels Junction Road; Post Office Roundabout-Odenigbo Roundabout-Ogurugu Road-Ikenga Hotels Junction Road; Enugu Road (Nsukka) Junction-Umezedi-Nru Junction, University Gate Road and Ohum Orba Junction-Imilike Ani-Ezimo Uno-Ezimo Agu-Imilike Ogbodu Aba-Obollo Affor (Udenu Ring Road), among others. The Enugu State governor has made a mark in policy of creating new urban centres and opening up the rural areas by providing requisite infrastructure. The transformation of the sleepy university city of Nsukka, which hosts the University of Nigeria, Nsukka, signposts the governor’s determination to uplift urban areas. Now, many people who work in Enugu metropolis prefer to live in Nsukka, where the governor has made life so good, and from where they go to work in the state capital. For these feats, aggressively transforming the Enugu landscape, impacting the lives of his people and revolutionising governance, Ugwuanyi, a former House of Representatives member and Chairman, House Committee on Marine Transport, wins the Governor of the Year award.